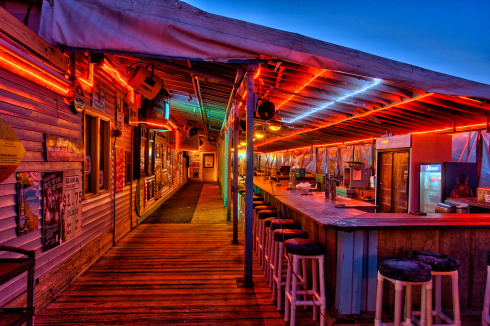 Photo of the Cocoa Beach Pier bar in Cocoa Beach, Florida. Photo from Matthew Paulson’s Flickr page. I love pier bars. There’s just something about sitting out over the water while the waves crash underneath that puts my mind at ease. I know! The photographer did a great job!